My name is Sahra Esmonde-White and I’ve recently taken over the gardens that my grandparents made famous through their 17-year running television show, “From a Country Garden.” I am building upon the magical gardens that they first created, by adding medicinal gardens and an apothecary, and attempting to restore the flower and vegetable gardens to their original splendor. Forty years ago, Larry & Anstace Esmonde-White wanted to return to their Irish roots by buying a stone farmhouse and recreating gardens that would remind them of their childhood. Both had grown up in Ireland, England, France and northern Italy and had been accustomed to full kitchen gardens that filled their plates with fresh food. In 1971, they found their dream home 45 minutes south of Ottawa, Canada's capitol, and purchased the stone house and 5 acres of open farmland. The stone house was unoccupiable and the land completely bare, except for the trees that lined the drive. They first renovated the home and then began plans for the gardens. 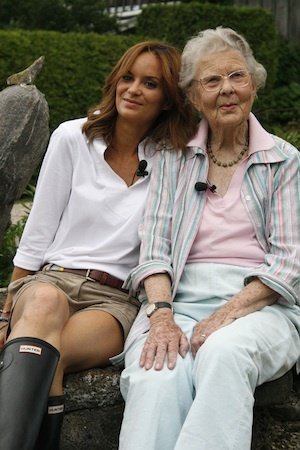 Though my grandmother never imagined herself as a TV gardener, it was a natural step as people were looking for information and she was an expert with years of experience stemming back to her childhood. 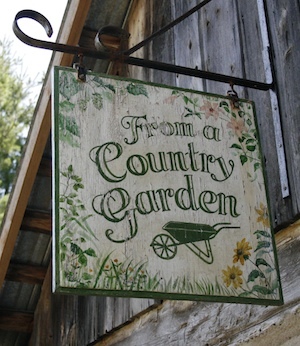 I spent many summers here as a child—so like grandma—I have gained knowledge from my formative years spent in the garden. My main interest now as an adult gardener lies in learning the history of my food, especially in relation to its medicinal and nutritional use over time, and harnessing and using the medicinal power of all plants including vegetables, flowers, herbs, fruits, nuts and more in our kitchen and home spa. During her days as a TV host for the American PBS network and CBC in Canada, her show became the number one series in the NY market long before Martha Stewart and other gardeners appeared on the scene; she was a pioneer in her field. Every tree, shrub, hedge, herb, vegetable and flower on the property was planted by my grandparents. For me, every plant holds a secret power and it's in discovering that power that we learn not only the true power of our food, but a new respect for what we are growing and eating. We can turn everything from our garden into a health-giving and nurturing meal or drink, or into a natural product for internal and external use. The point is, our kitchen is a medicine cabinet, a natural Apothecary, and the greater our understanding of that—the more we will look upon our food, kitchen and garden in a new light and with more respect. Currently, with the natural evolution of the Esmonde-White House gardens, I’ve created my own Apothecary workshop in one of the log cabins which was built 20 years ago on the property, nestled behind the herb garden. I look forward to building a new medicinal herb garden behind the Apothecary, creating natural products from our flowers and herbs, and discovering the new developments and knowledge from others around the world who are passionately involved in using the power of plants. I look forward to sharing these experiences with you and the knowledge gained in creating our new Apothecary kitchen garden. Everything from the Esmonde-White House should inspire you in your own Apothecary kitchen. Sahra Esmonde-White is co-owner and CEO of EWH Productions and host of the Essentrics Workout Series. She has produced over 200 fitness shows for PBS as well as the award-winning PBS documentaries, Aging Backwards and Forever Painless. Named one of the top health experts in Canada by both Fashion Magazine and Flare, two of Canada’s top women’s publications, her DVDs have won "Top Workout" awards in both Canada and the UK. She works closely with celebrities such as Canadian actress Sarah Gadon, currently starring in the CBC/Netflix miniseries adaptation of Margaret Atwood's Alias Grace, and professional athletes including the NHL’s Montreal Canadiens. With a Bachelor's degree in Economics and graduate studies in Public Health, Sahra has made it her life’s mission to help people lead healthy lives through intelligent fitness and a thoughtful lifestyle. 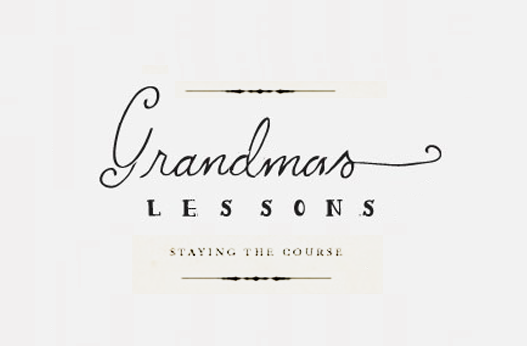 Her most recent project includes reviving her grandmother's gardens and apothecary. Born in Ireland, educated in England and having travelled the world with her husband Larry, Anstace Esmonde-White settled 40 years ago in Kemptville, Ontario, the setting of her 17-year running PBS gardening show “From A Country Garden.” What began as a hobby became her lifelong mission; to educate people on the importance of knowing where their food comes from. Anstace has been the President & Honorary of the Ottawa Horticultural Society and hosted diplomats and ambassadors from around the world. She educated Canadians via radio and television with regular appearances on CBC and CTV, in addition to her 14 seasons on the American PBS network.